Despite the various challenges author Alyssa Ayres has highlighted in her book, India is well on the road to acquiring global power and status. The title of Alyssa Ayres’ latest book on India, ‘Our Time Has Come’, would apply more appropriately to a resurgent China, supremely confident in its arrival as a great power, rather than to India. One may legitimately argue that India’s time has not come yet although we may be getting there. The sub-title is perhaps more apt—‘How India is making its place in the world’. Alyssa Ayres is a sympathetic chronicler of India’s rise to global prominence over the past quarter of a century. She covers this trajectory in eight chapters, grouped under three parts, one, titled, ‘Looking Back’; the next covering the ‘Transition’ and the third, ‘Looking Ahead’. The epilogue has some recommendations for US policy towards India, on how the partnership can be strengthened even as India seeks to carve out a place for itself in a new international order. For a balanced and carefully researched analysis of India’s prospects, as seen from Washington, this is a book which will rank pretty high in the years to come. Alyssa did spend some time with me while gathering material for her book and we had a long conversation about the templates from the past, which continue to influence the way India looks at the world. She has duly reflected this in the first chapter. But her book is mainly about departures from the past and how a new India is defining her place in the world even as its historical experience lends its calculations a degree of caution. Quite predictably, she considers the end of the Cold War as marking the end of an era when India had to cope with a greatly transformed geopolitical landscape even as it grappled with an economic crisis which threatened to push the country into a humiliating financial default. India’s relations with the US and West in general began to improve. The Cold War prism through which India was seen as being on the other side of the fence dissipated. The economic crisis compelled the adoption of far-reaching market based reforms and economic liberalisation, soon putting India on a high growth trajectory. This reinforced the turn towards the West which could support India’s economic prospects with infusions of capital and technology. Along with the globalisation of the Indian economy and the opportunities this offered to foreign capital, India began to move from the margins towards the centre of the global economy. Its regional and global profile also began to rise. Alyssa credits the Modi government with having given a new impetus to the transformation of India’s engagement with the world. India is a country more demanding of its due in the world. It is less hesitant in asserting its interests. This trend, she believes, is likely to grow stronger and both friends and adversaries need to acknowledge the change that is taking place. In spelling out these changes, Alyssa quotes Foreign Secretary Jaishankar who argues that India today seeks to be a “leading power” rather than a “balancing power”, ready to shape events rather than be shaped by them. This, then, is an India which would be less reactive and defensive and would be ready to play a leading role on the world stage. To be fair, the author acknowledges that previous political dispensations, both led by the Congress and the BJP, have presided over very real and significant changes that have taken place in the conduct of India’s foreign relations. However, the lingering legacies of the past, the defensiveness inherent in the concept of non-alignment, the deeply ingrained suspicions of foreign capital and the widespread political preference for self-reliance have all held India back from taking on a mantle of leadership on the global stage. However, she does credit Modi for having moved away from these constraining legacies more than any other leader so far. Alyssa devotes a considerable part of her book to the Indian economic story. 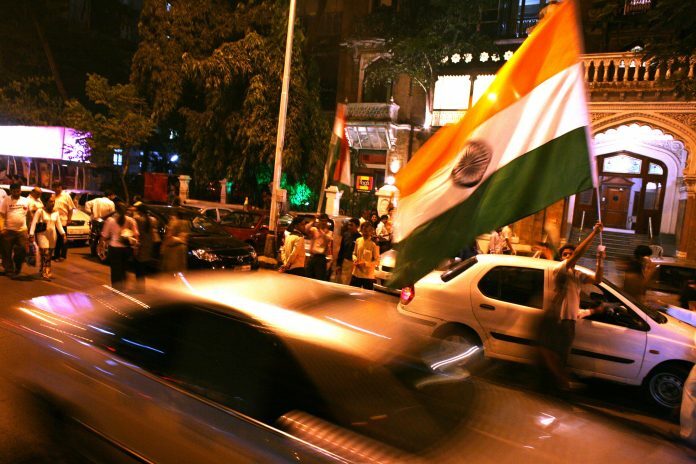 After all India’s place in the world is integrally linked to the country’s economic prospects. Here she finds that the country’s historical experience and its complex polity and society have prevented the whole-hearted embrace of economic reforms and this detracts from the expansive role that it aspires to on the world stage. She has rightly pointed out that Prime Minister Modi is the first Indian leader to declare his support for reforms explicitly and unreservedly. There is no “reform through stealth” for him. He has also been open in his welcome of foreign investment and has been persuasive in his sales pitch during visits across the world. And yet he has not been successful in bringing about the long-pending reforms in land acquisition and labour laws or in overhauling India’s public sector. India’s negotiating position in multilateral trade negotiations continues to be marked by defensiveness despite Prime Minister Modi’s penchant for deal making. Structural reforms, particularly, in mechanisms of governance, have made little headway and all this means that there is a mismatch between political ambition and capacity. In the case of the US, there is an imbalance between a very robust security and defence relationship and still modest economic and commercial relationship. The two countries continue to spar with each other in multilateral trade fora and these difference are likely to sharpen under the Trump administration. Alyssa concludes her book on an optimistic and forward looking note. Despite the various challenges she has drawn attention to, she sees India well on the road to acquiring global power and status. The country will be, by 2040, the third largest economy in the world after the US and China. It would have a formidable military, in particular, naval power and, if it plays its cards well, it could well begin to emerge as a leading manufacturing power, leveraging its demographic dividend into even more substantial national power. The author has good advice for US policy makers who will need to accept that India will play according to its own template rather than accept a Washington template. There will be an insistence on a relationship as equals but it is a relationship which will be as important for India as it will be for the US. One cannot quarrel with that. Shyam Saran is a former Foreign Secretary and is currently, Senior Fellow, Centre for Policy Research.